The fate of three nations, the United States, Israel and Palestine are discussed in this documentary. 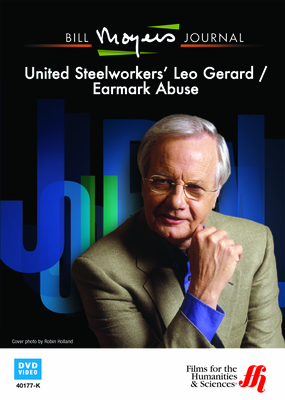 Bill Moyers talks to Leo Gerard, the President of the U.A.W. Moyers also discusses Earmarks, which are the inner workings of budget in Congress. Finally, he discusses events in Gaza where the conflict between the Israelis and Palestinians rage. In this documentary on the recent revival of labor unions to the top echelons of power, veteran PBS journalist, Bill Moyers talks with Leo W. Gerard, President of the United Steel Workers (U.S.W), the largest industrial union in the country. Mr. Gerard explains in the documentary that the new democratic leader Barack Obama is key to his Union's success. His vision for a partnership with the incoming President is summed up in these words; "(A)ll we want to do is sit down and negotiate. Negotiation is the cornerstone of democracy as well. Show me a country on earth that is a democratic country that doesn't have a free, strong, independent labor movement. " Moyers then explores the state of spending in Congress where abuse and waste of tax payer dollars go unnoticed under the guise of congressional earmarks. Earmarks are another name for discretionary spending for pet projects in Congress's budget. Finally, the documentary ends with an essay on Israeli-Palestinian relations in Gaza. The raging conflict is considered a by product of three very different scenarios; self-defense, retribution and terrorism. What is to become of the region is mapped out in the discussion of recent actions in the Gaza strip as a result of the conflict between the Israelis and Palestinians.